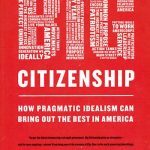 This post continues on from Part 1 of my discussion with Alan Khazei, author of Big Citizenship, who explains the powerful role that citizens and social media have to play in creating change on the global stage. SM: How do you see the dynamic between US-centric activism and global concerns playing out as smart phones spread around the world? Do you think people outside the country can align around shared values, or do you think we are still committed to a nation-centric view? AK: I think more and more we are going to see global citizen movements. Even when I traveled the world in ’95-’96, I got a sense of emerging global citizenship because once the cold war ended we could travel the world, we found that people have more in common that divides them. The big ideological battle between capitalism and communism, diplomacy and totalitarianism was over. More and more we are going to find that our problems are global. Climate change is a global problem that needs global action and a global solution. AIDs is a global challenge. Extreme poverty is a global challenge. The spread of nuclear weapons is a global challenge. SM: Is there sufficient awareness among consumers that they need to engage in the political process? AK: Part of the reason I wrote the book was to raise awareness and to get people to realize their power as citizens, especially when they exercise it in concert with others. I think it’s rising but I also think people can get discouraged. The political process, at least in America, seems like it’s corrupt and out of touch with all these negative ads with one party accusing another party when things don’t get done. People need to realize that we do hold the power. It’s a democracy. It’s up to us. We vote people in, we can vote them out. Part of the reason I wrote the book was to get people to realize that it’s through being a big citizen that things can change. SM: In the book you frame solutions in terms of private/public partnerships. Do you see them playing a significant role? AK: The debate, at least in this country, has become too simplistic around the role of government. Too often democrats are talking about big government and the republicans are saying government is the problem. But the truth is that it’s more complicated than that. 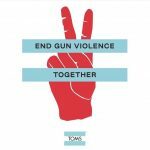 We need a whole different approach starting with citizens and looking to citizens and the American people to get involved through service, through politics, through movements. Looking to innovators and entrepreneurs who, throughout history, have driven change, not the government. People who have come up with new ideas, whether it’s in the social sector around education reform or in the private sector with every kind of breakthrough, whether it’s technological breakthroughs or clean energy breakthroughs. Government plays a very important role because it sets the rules of the game around whether or not things can scale up quickly and what kind of regulations there are. In the 21st century it’s more catalytic and transparent and accountable and new media tools can be very powerful both in terms of how big government can be more accountable and effective. SM: What would you say is going to drive this change in citizen participation? Do you think it will be a function of the global crises becoming so acute that our survival instincts kick in or will it be a case of so informed through the internet that our awareness will motivate participation? AK: I think it’s both. I have a lot of faith in the millennial generation. They get this stuff. They grew up with it, they are much more aware of issues of diversity and inclusion. They are also much more pragmatic and have grown up in the aftermath of 911 and Katrina and the tsunami. They are the most serving generation we’ve had since the greatest generation, they are full of social entrepreneurs and are in tune with new media. When this generation comes of age and emerges into positions of leadership that will help drive change. I also think that with the internet and social media, people are aware of what’s going on and that things are getting worse, such as climate change and the state of the economy. There are new leaders emerging in the social entrepreneurship movement, more and more of whom are recognizing the importance of engaging in public policy. Thanks to Alan for sharing his thoughts and for the inspiration that City Year (@cityyear) provides. Do you believe social media can help drive change on the global stage?